Pelle Sjoenell, the executive creative director of BBH Los Angeles, is to become the worldwide chief creative officer of the Bartle Bogle Hegarty Group. Starting today, he will lead the business alongside chief executive Neil Munn. He replaces Alexandre Gama, who has stepped down from the role to focus on his Brazilian agency Neogama. 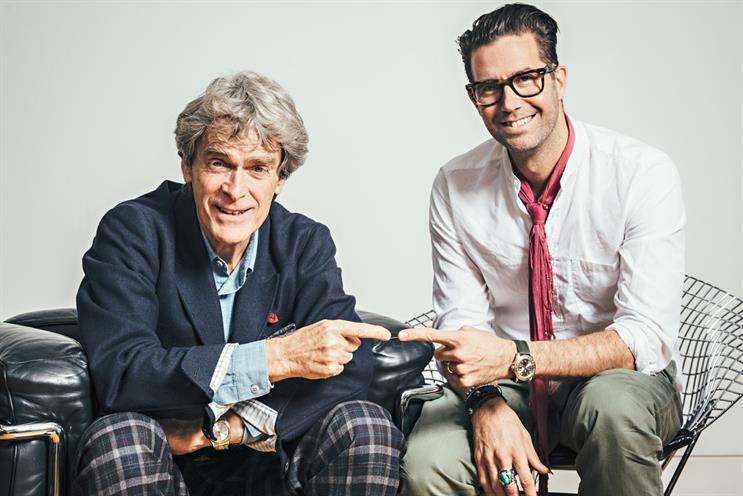 Sir John Hegarty, the co-founder of BBH, said: "Personally, I’m absolutely delighted that Pelle is now stepping forward to lead BBH creatively. BBH has always been driven by outstanding creativity. "Celebrating that and ensuring it continues in a world of expanding needs and opportunities, requires us to not only hire the best creative people possible, but also to be led by the best. That's why I'm excited by the appointment of Pelle Sjoenell as our new worldwide chief creative officer." Sjoenell joined Bartle Bogle Hegarty in 2007 and spent three years at BBH New York before opening the BBH LA office in 2010, where he remains executive creative director. In New York, Sjoenell was behind award-winning work including "Oasis – dig out your soul in the streets", which won a Titanium Lion at Cannes; "clean your balls" for Axe – the most talked about campaign in social media in the year that it launched; and "Dear Sophie" for Google, which was named Time's best ad of the year. In 2014, he set up The Creative Studio, a joint venture with Scooter Braun's SB Projects. The studio creates content for clients including music videos, ads, B-roll and promotional videos. Sjoenell said: "I fell in love with advertising because of a Levi’s ad that BBH created when I was a teenager. I’m delighted and extremely honoured to be taking the creative helm of this great agency. Only white sheep can be herded. To lead black ones, you have to be one." Gama stepped down from the role earlier this month after the end of his earn-out from the 2012 Publicis Groupe deal, when he sold his company shares alongside BBH founders. He turned down the chairman role because he wanted to focus on expanding and developing the Publicis–owned Neogama business in Brazil.